Plastic pollution in the oceans is a major problem that is finally getting the attention it deserves, thanks to Blue Planet II. It makes headline news almost every week – and famous figures such as the Pope, Prince Charles, Dame Ellen MacArthur and Sir David Attenborough have all joined the debate. While many countries still have a problem with litter, there are at least regular collections of waste and recyclable materials. The point is not that richer nations don't need to address their use of plastic – they do – but that the benefits "per dollar" are much greater in poorer countries where even minimal interventions would make a huge difference. Therefore there is now a moral and environmental case for using aid money to support better waste management in poorer countries. 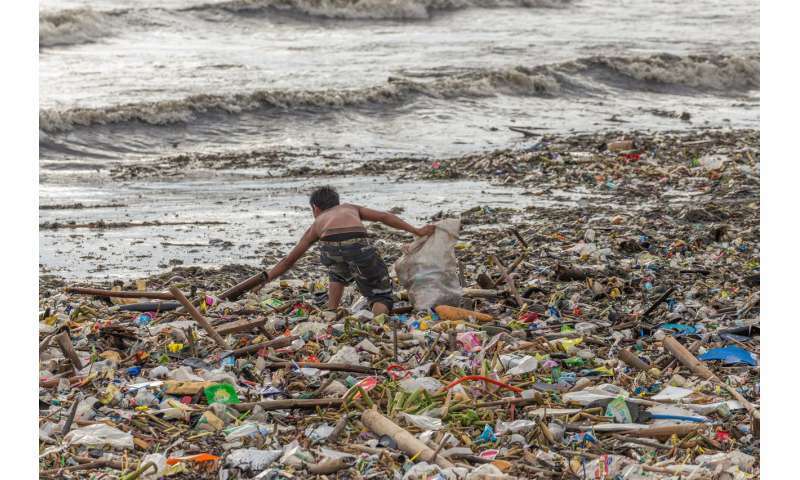 A recent report by the Chartered Institute of Waste Managers and the UK-based NGO WasteAid claims that mismanaged waste from developing countries accounts for up to 70% of ocean plastic by weight. Just five countries in East Asia are responsible for most of this. Meanwhile 38 out of 50 of the world's largest uncontrolled dump sites are in coastal areas and many of them spill waste directly into the sea. 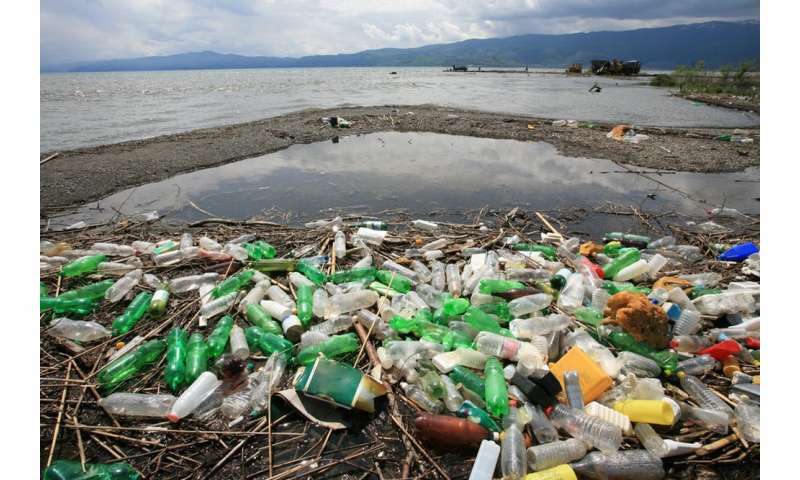 But plastic doesn't just affect the oceans, it also pollutes the air and water on land – and it directly harms humans too. Poor waste management is linked to diseases or conditions such as diarrhoea, cholera, respiratory illness, and eye and skin infections. The same WasteAid report shows that 2 billion people live without waste collection and 3 billion without controlled waste disposal – so the numbers affected can be huge: roughly 9m people die each year of diseases linked to either mismanagement of waste or pollutants. There's even a climate change aspect to this, as waste that isn't recycled or properly managed tends to be burnt off, releasing soot and other greenhouse gases into the atmosphere. If the growing volume of waste in emerging economies is not properly controlled, dumpsites could account for 8-10% of global greenhouse gas emissions by 2025 at a time when international agreements are already attempting to control emissions. Helping poorer countries deal with ever-increasing amounts of plastic and other waste is ultimately a core development issue – and one squarely within the remit of government ministries such as the UK's Department for International Development (DFID) or international organisations such as the World Bank. It is much better to deal with plastic at the point it becomes waste, rather than attempt to salvage it later from the ocean. Treatment of waste is specifically mentioned in three of the UN's 17 Sustainable Development Goals , after all. 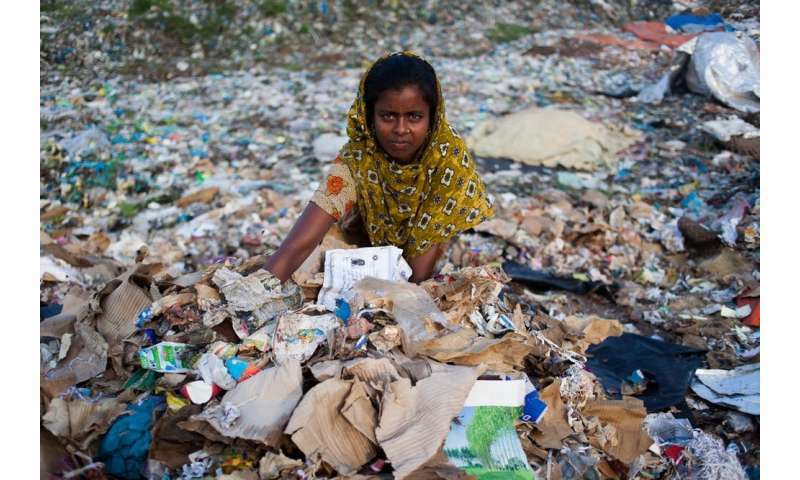 And waste also has an impact on many other UN goals, such as reducing poverty, improving health and equality, providing clean energy, cleaner cities and healthier populations and – last but not least – the protection of air, land and water from pollution damage. As a member of the United Nations, the UK has committed to spending 0.7% of gross national income on foreign aid, amounting to around £14 billion each year. Just 0.3% of this of this is currently spent on waste management. Diverting additional money would help out some of the world's poorest communities – and help the people there to live healthier and happier lives. And it could also take a major step towards cleaning up the environment and tackling the ocean plastics crisis.